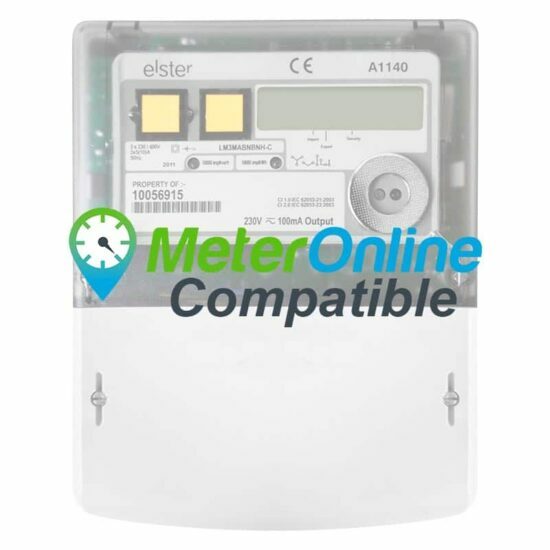 After purchase simply register on Meteronline.co.uk using the Serial Number (e.g. 11831764) and the Security Code (e.g. 6928). 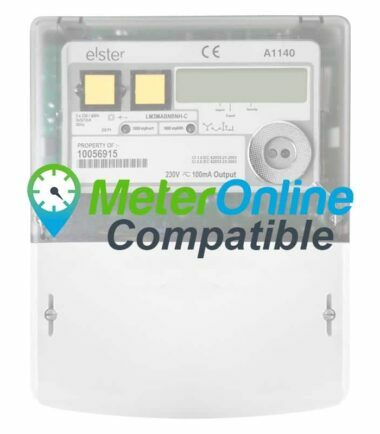 The Elster A1140 offers highly secure MID approved tariff metering with Half Hour profiling to suit any direct connected or CT, commercial or light industrial uses. 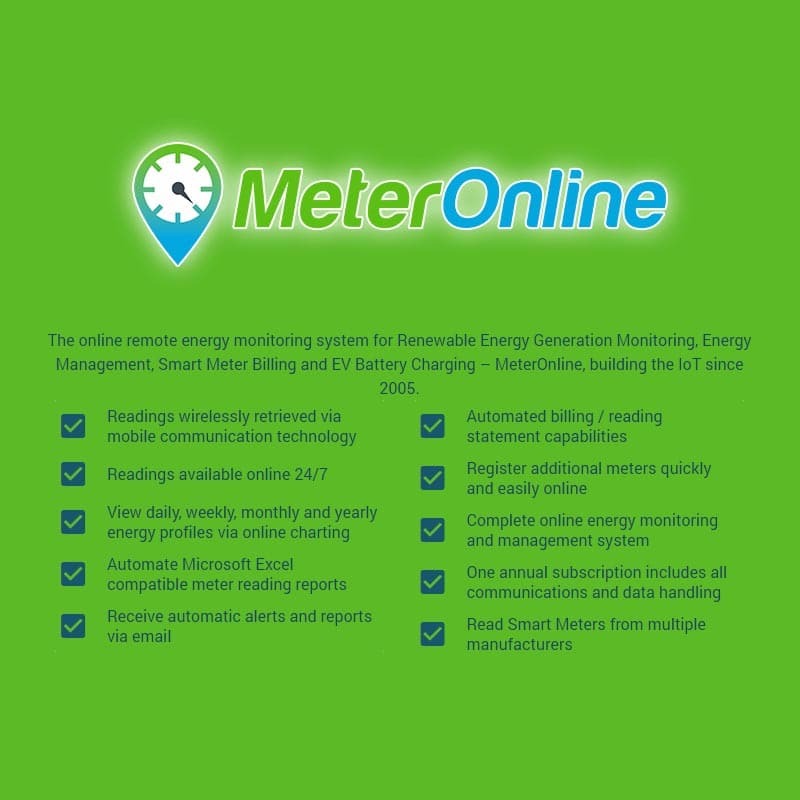 Applications include general metering for billing purposes and monitoring renewables generation such as Solar PV and Wind. 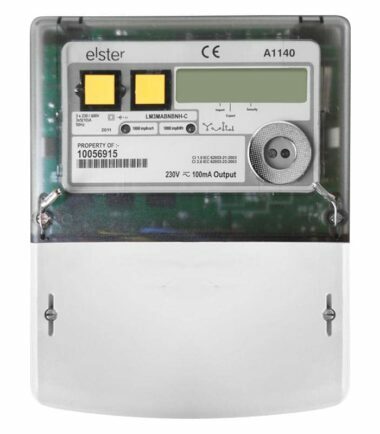 The Elster A1140 also has a pulse output can be programmed as an option at the time of ordering. The meter is available in a number of variants including CT operated. 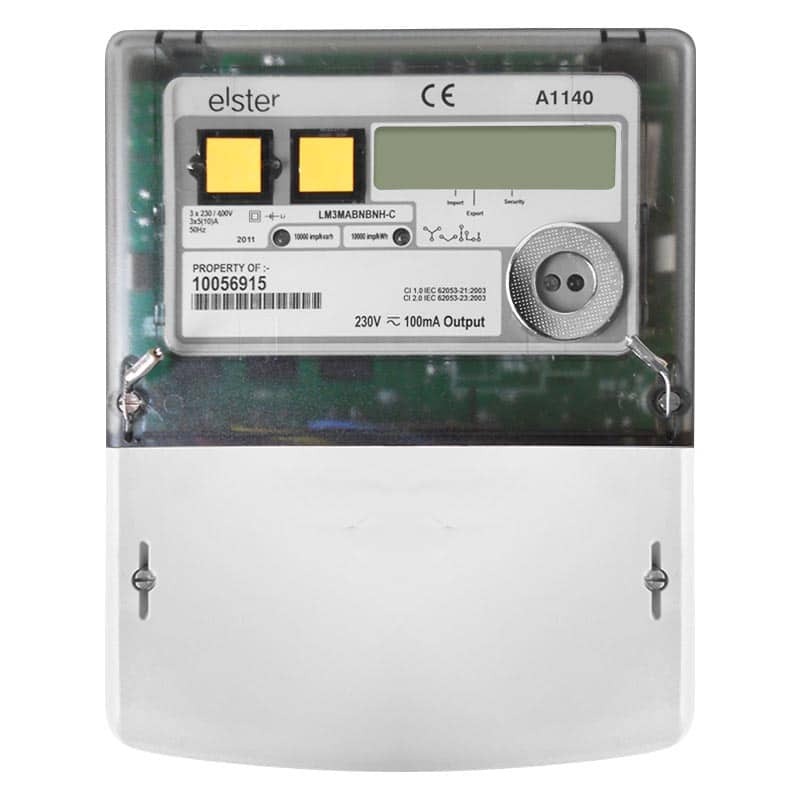 A comprehensive range of instrumentation quantities are available that can be included in the display sequence. 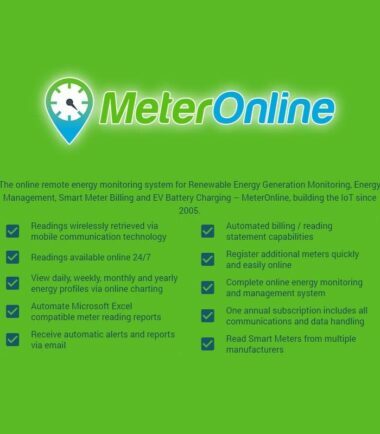 Looking for just the meter only without the MeterOnline subscription? You can find both the A1140-CT variant here and the A1140-DC variant here.